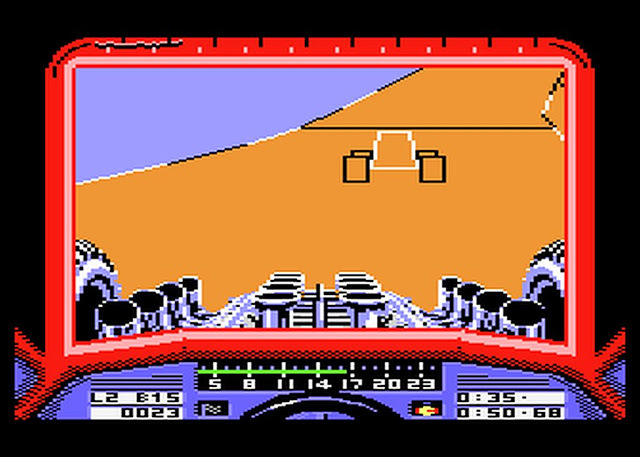 It suddenly dawned on me the other day that the Amstrad CPC version of Stunt Car Racer might not be the best version. 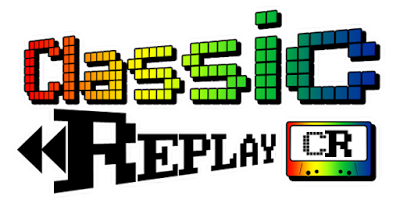 For some unknown reason, the C64, Speccy and more importantly 16-bit versions completely escaped me. That's not saying the Amstrad version is bad, just that I watched a video the other day that compared all versions, and just watching the 16-bitters blew me away. I always thought the Amstrad CPC version was really fast, too fast if that makes sense, those dips, hills and corners came at you at pace, giving the player less than a second to react in some cases. But the Amiga version really opened my eyes to how superior 16-bit computers were in comparison to my trusty 8-bit. At that time as well, I also had an Atari 800XL, but unfortunately, the games on that system were really hard to find, the ones I did find were absolute classics, in fact, the best tennis game I played until Virtua Tennis on the Dreamcast was a game called Real Sports Tennis on my Atari, there was nothing else like it, it still holds up today and the controls are sublime. The rest I'm sure everyone already knows about, Star Raiders, Rainbow Walker, PastFinder, Rescue on Fractulus and the great Eidilon. The Amstrad pretty much had all of the games released for my Atari, but I did miss the look and feel of the games, not so much the sprites, but smoothness if you like. 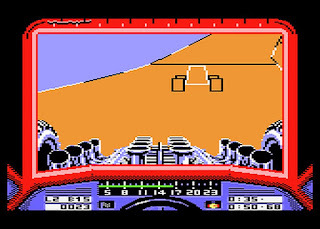 The other day I accidentally came across a post in CPCWiki about Stunt Car Racer for the Atari 8-bit computer, one of my favourite games of all time on the CPC was now available on probably my favourite computer of all time (although I will always love my CPC). So I quickly scuttled off to Youtube and did a search, the video played and my jaw dropped, it not only looks amazing, but it zips along using extra A8 CPU power, faster than on my CPC. I'm literally in heaven with this conversion, it completely smokes the C64 and Amstrad, and seems to run at the speed of the ST and Amiga, without the detailed graphics. I hope you enjoy, there are a few details from the forum 'Atari Age' below, but details summarised below as well. My letter from Amstrad Action?